Your daughter, granddaughter, niece, or close friend is graduating from high school, and you have no idea what to get them to show them how proud you are and how you know they can achieve their goals as move on to bigger and better things. It can be tough to choose a gift that will be something they enjoy while also inspiring them to go out and make good choices. Give these gifts some consideration for your girl who’s graduating this year! 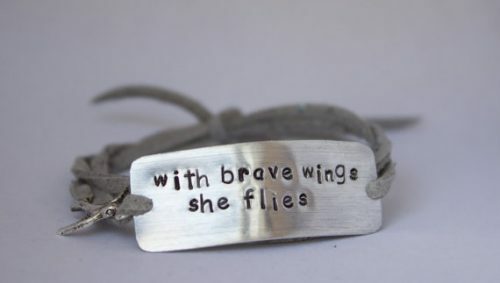 Remind her that she has brave wings and can fly far with this bracelet to wear to college, work, or wherever she chooses to go next! 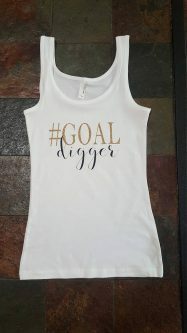 She has goals to reach and this #goaldigger tank top is a perfect thing for her to wear to give her a sense that she can accomplish anything that comes her way. 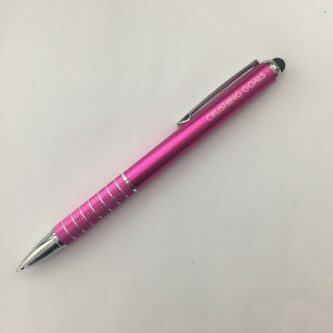 Another gift choice that will help her remember that she has goals and those goals are within her reach, is this hot pink “Crushing Goals” pen that doubles as a stylus for her phone. It will help her track her goals on her phone or stay on track with her work on the go. 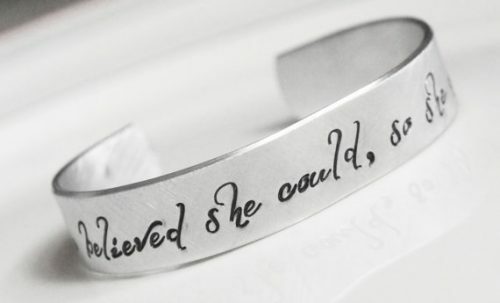 She needs to believe she can do anything, and this bangle bracelet is the perfect way to keep her mind on that each day. Help her learn how to manage money as she moves on to college or other adventures with this book of money management principles to help guide her. 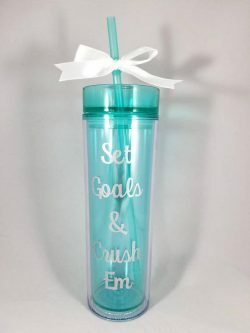 Drinking water and staying hydrated at college or work is important, and she can stay hydrated with this “Set goals & crush em” tumbler to drink her water from. 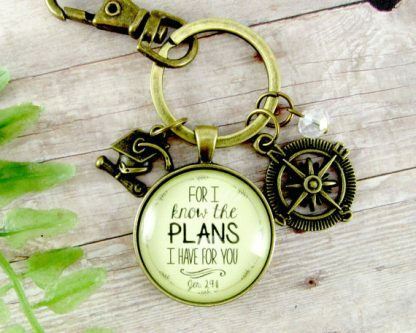 If she is a Christian, this verse on a keychain will keep in her mind that God has plans for her and will guide her steps. 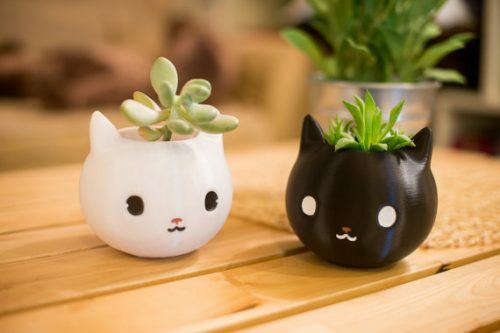 These super cute cat planters will help cheer up her dorm room at college! She can plant flowers, herbs, or something else entirely to spruce things up. 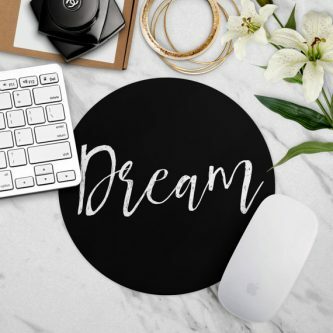 Make sure to keep her dreaming, even when the world seems to be overwhelming, with this “Dream” mouse pad to accompany her computer or laptop. We are hearing the word in multiple places these days, she needs a tribe that will encourage and uplift her. 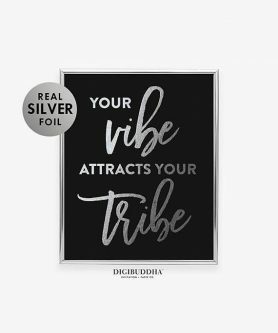 Help remind her that she can make a great choice as she chooses her tribe, and get her something to decorate her dorm room, all at the same time. Cooking in a dorm room is next to impossible, but this cookbook for college students which is full of recipes only needing five ingredients or less will certainly help give her more choices and ideas! 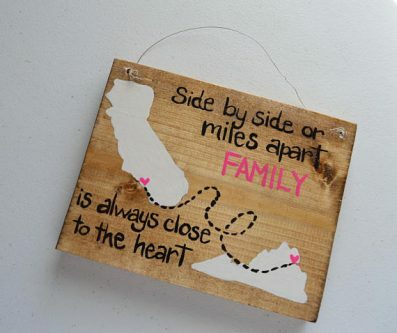 Remind your girl who has recently graduated that her family is still close to her heart and a phone call away with this wooden sign. Give her a portable safe to put in her dorm room to keep her valuables and other important things safe from anyone who happens to pass through her room, such as a roommate or a roommate’s friend. She has to work hard for what she wants, it doesn’t come easy, and this pencil holder will keep her more inspired to do so. 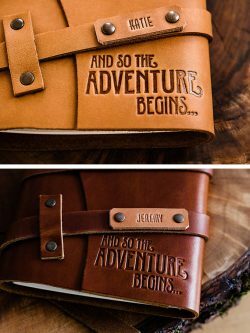 Their adventure is just beginning, and this leather fire branded journal that reminds them of the fact, while also giving them a place to take notes, write the world’s next best-selling novel, or whatever they choose to write in there. They will certainly need a pillow case for the pillow on their dorm room bed, so why not give them an inspirational one that reminds them to go out and live their life to the fullest? For the Harry Potter fan in your life who is finishing high school and going off to college. If only they could have gone to Hogwarts instead! They can pin this up on their dorm room wall and keep track of all their classes, appointments, meetings, and more, all on their wall. 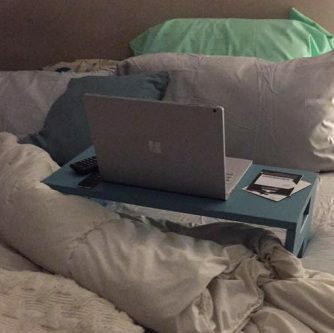 As they will be spending even more time on their laptop with college work and papers to finish, this lap desk for their laptop will be an amazingly handy gift to keep them sane and healthier! 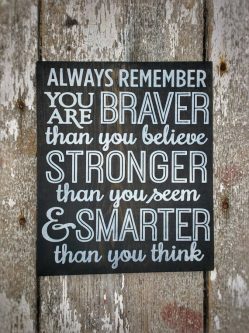 Remind her that she is brave, strong, and smart as she moves on from high school with this sign she can place on her wall in her dorm or new apartment. It will be something she looks at, and feels inspired by, often. High school graduation is a huge deal, and giving the right gift that they will find useful and enjoy, can be a great way to help them move onto the next stage in their life.